Additional parking available at the Bank of NH next door! 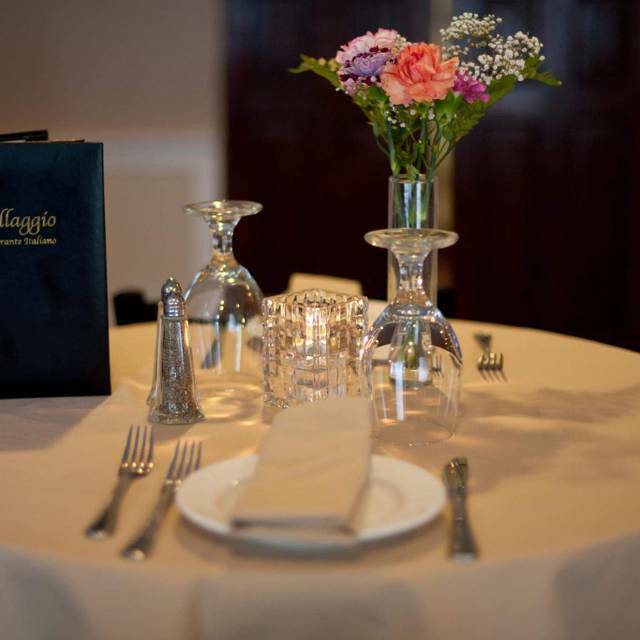 Villaggio Ristorante is an authentic and upscale Italian eatery, with all the accoutrements of fine dining that diners expect. There is beautiful crystal stemware at every place setting and pristine double tablecloths on every table. 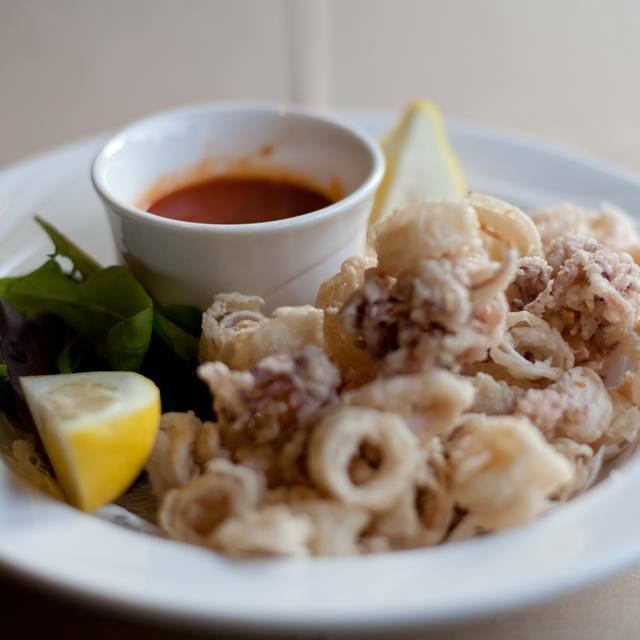 Vilaggio is one of the most popular Italian restaurants around, serving classic Italian starters like Bruschetta Napoli, Melanzana Rollatini, Calamari Fritti, Cozze di Mare and Salsiccia alla Griglia. The main entrées are all traditional Italian recipes. 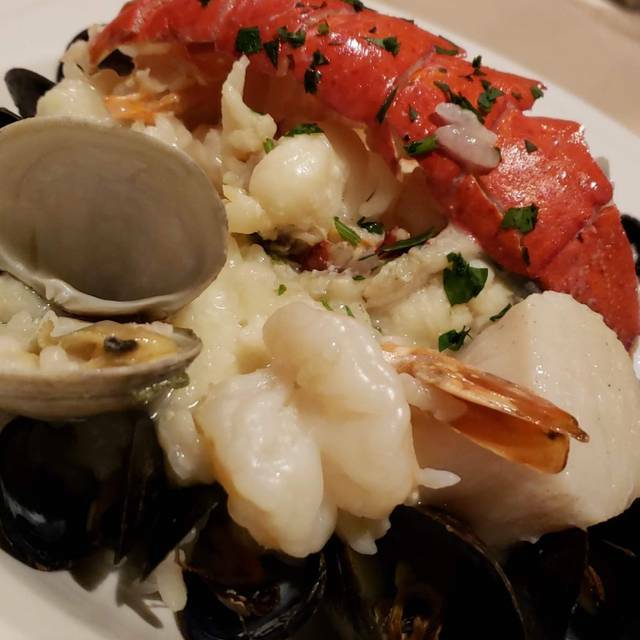 Diners can enjoy classic dishes like Chicken Parmesan, three cheese Manicotti, homemade potato Gnocchi, Capelllini Primavera and a signature Bistecca Italiana, a 12 or 24 oz. ribeye covered in made-from-scratch mushroom marsala demi-glaze. 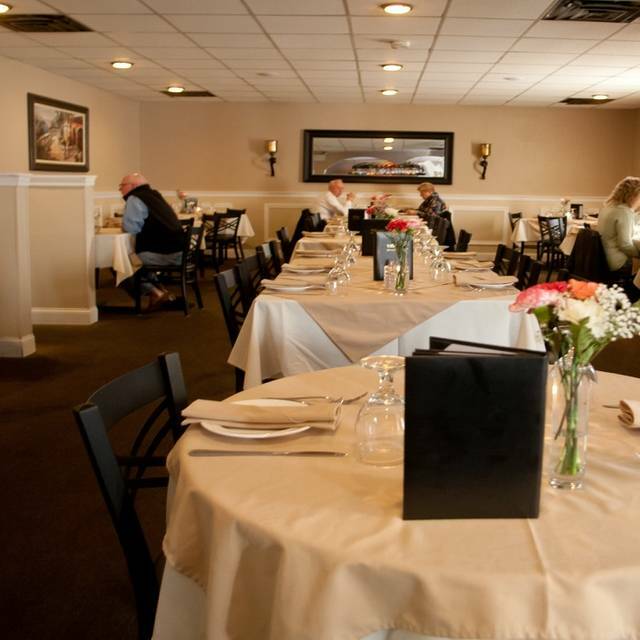 The exquisite selection of seafood entrees, veal scallopini, and chicken entrees are extensive. 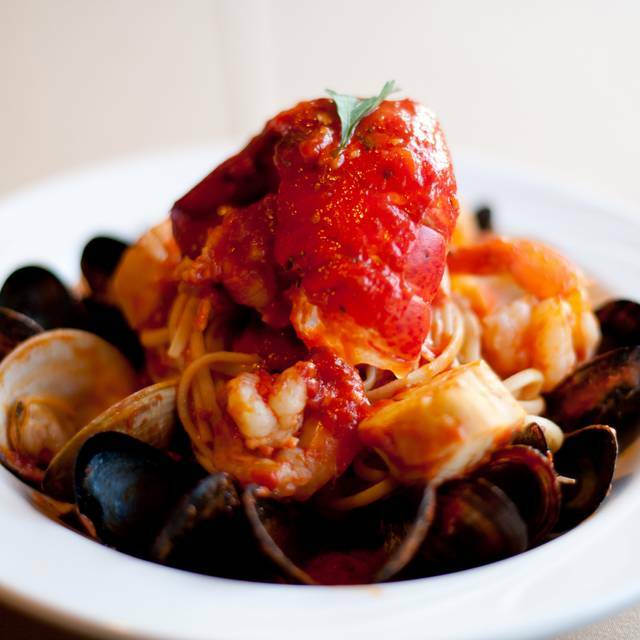 From the Frutti di Mare, Lobster Ravioli, Pollo Ripieno, to the Pollo or Vitello Picatta, you cannot go wrong! And be sure to save room for dessert!! Very impressed with service, food and overall dining experience. Our bill with tip was $100.00 and that was with me sending back one meal. The food was terrible. we ordered two appetizers 1. Bruschetta thin slice of bread, soggy and unseasoned, 2. Calamari, one big clump of manggeled peices some hard as tooth picks. My lasagna was advertized on the menu as made with meat sauce, inside was a douhy soggy mess of a bread like mixture with three pepples of what i think was poorly made meatball mix, I sent it back. My wife ordered the veal saltimbocca, it was over cook and the consistancy of shoe leather. She was to kind and embarrassed to send it back. We orderd a frozen desert which was great and found out they buy that from someone else. Our server was great. I have eaten better Italian food out of a can. Oh. My. God. Best meal I've had in the state! We will definitely be back! One of the best meals we've had in months! Not only that, but the bar produced a perfectly mixed martini (many area restaurants fail at this). Our waiter was attentive and brought items in a timely fashion. The antipasto was just perfect, a nice blend of meats, cheeses and assorted vegetables lightly seasoned with dressing. Our entrees were excellent and generous portions. Yes, this place is small and tight, but it simply reminded us of restaurants in Europe that we had visited. We were pleasantly surprised at the total tab, very reasonable for what we ordered. I've been there 4 different times and never disappointed. 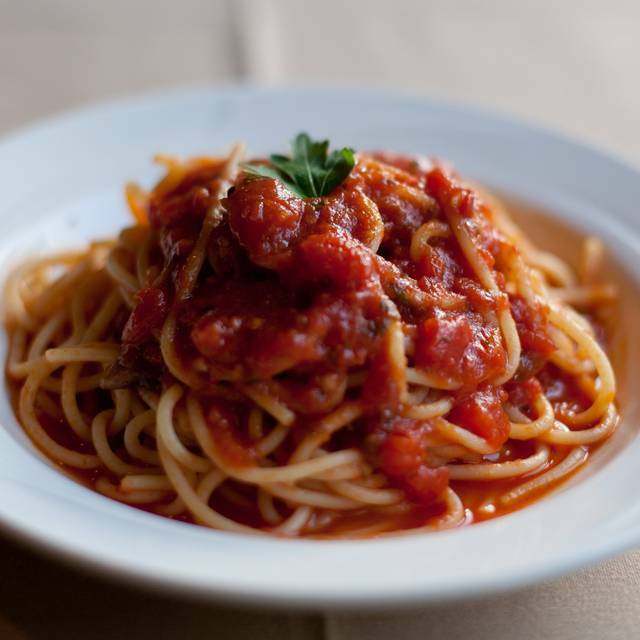 Villaggio is one of our favorite restaurants and we recommend to anyone looking for great food. Tight seating so a bit noisy but the food is unbelievable and the service is outstanding - definitely make a reservation! Excellent meals and service. No suggestions required to improve anything. Great drinks! The drinks were on point! The food was good. The wait for our food was long - in total we were there for 2.5 hours - it just took so long for our entrees to come out. If we didn’t have such good drinks and good company, this would have been a bigger issue but we had a good time chatting with each other. The only real issue though was the table we sat at. My fiancé and I were bumped at least ten times each. The table was right by the bar, by the kitchen and just in the middle of everything. They should switch it around a bit so the largest table isn’t planted right in the way of everything. Got pretty annoying, but other than that we had a great time. Serious kudos to the bartender! Very good service and the food was great! This was our second time back and we were still very pleased with our meal and great service. We ordered different items than from our initial visit and I can say the flavors were still outstanding. Great food, People were very nice. This was our first time there. Nice restaurant in an area with limited fine dining options. The staff were extremely friendly. The food was good and fresh. The space is very small and feels tight. I could heard conversations from all directions. It was a very busy Saturday night. There is no place to sit and wait. We have been here many times and have always had a great experience. Server was friendly and attentive and did not rush us. Our food was served nice and hot and very delicious. A nice small hidden gem. Pleasantly surprised by the quality of the food and wonderful service. Nice to have a great Italian restaurant in Manchester. We will be returning often! An excellent first experience at Villaggio and we’re already planning to come again. Joseph our server was fantastic. Will be seeing you again soon. Excellent food and service; reservations for 8 PM, wasnt seated til 8:40, bit of an issue. Excellent as always! Wonderful food and service. Very consistent over time. We chose to celebrate our anniversary here after coming about a month ago. The food is outstanding, authentic Italian. We had the same server both times and she remembered us. Between the two visits (the first was with a group of 6) we’ve tried multiple appetizers, soups,salads, entrees and desserts and it’s hard to pick a favorite. I recommend a reservation but they’re worth waiting for. This restaurant is a hidden gem. the food is wonderful, the service great (without hovering) and it is quiet so that you can carry on a conversation. We will definitely be back with friends. Food and service was pleasing. Would definitely return. The atmosphere is very warming and get the feel of a family owned business. The food was amazing! Will not be disappointed by the portions and the desserts are amazing if you can save room. Not a cheap option for dinner but well worth the price! We made a reservation through OpenTable and they were ready for us right on time despite a line at the door. Service was great, although a bit slower because of the Valentines rush. Food was delicious - a lot of great options for such a small venue. Valentine’s Day . We were seated almost exactly at reservation time. 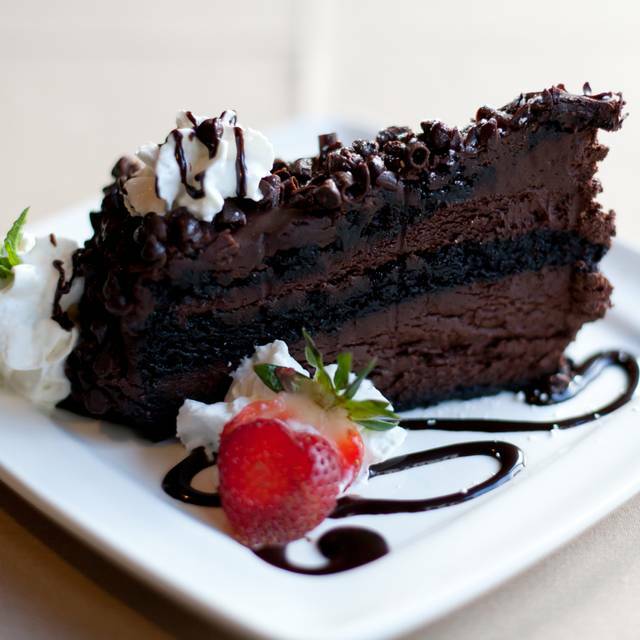 The waiter was terrific and attentive and the food was very good and the dessert was special!!! A very nice dinner. Food was very good, reasonably priced, staff was accommodating. Atmosphere was great, it definitely had an Italian feel to it. I'd come back again only to try their true Italian food. Got seafood and it was one of the most expensive one on the menu, expensive doesn't always mean its the best. We were an hour early than our reservation and they were able to take us no problem, which was really appreciated. Very romantic, went for our Valentines day and tables were well decorated with roses and lights dimmed. Loved it...would definitely recommend it! Excellent food and excellent service. It’s the experience I’d have if my Italian grandmother was a classically trained chef. Outstanding. I had a wonderful birthday dinner with my family at Villaggio! Lexi is always great to see! Warm and cozy atmosphere. Terrific food. Great service (waiter was knowledgeable, friendly, and attentive). Our meals this evening were very good. The chicken Marsala was moist and tender, ,very flavorful with a hint of something not always in this dish. The portion is large enough to take half home. We have had both positive and negative experiences here beginning the first day they opened. They are always moving in a positive direction. Would love to see some more moderate to higher end Red wine by the bottle on the list. Food was outstanding. The restaurant is a bit small and crowded. We didn’t get the table we booked but settled with a high top table so we didn’t have to wait any longer. Staff were wonderful. Definitely will go back.